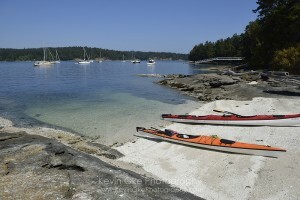 Off the southern coast of British Columbia, adjacent to the Strait of Georgia, is a collection of islands, islets and reefs with rocky shorelines and steep headlands. 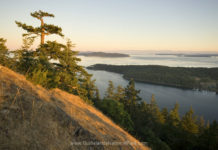 Known as the Southern Gulf Islands, these islands are blessed by Canada’s only Mediterranean-type climate—warm and dry in the summer and mild and wet in the winter. 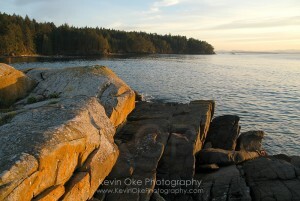 About 15 of these islands and over 30 smaller islets comprise the Gulf Islands National Park Reserve. 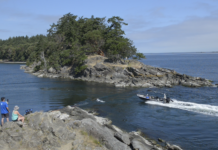 Established in 2003 by Parks Canada, the Gulf Islands National Park was formed to protect the area’s unique ecosystem, which is rich with ecologically diverse plants and sea-life including: gnarled Garry oaks, delicate wild lilies, thick kelp beds and magnificent Orca whales. In waterfront areas, the park’s protection extends 200 meters into the sea. 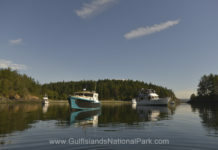 The Gulf Islands are also home to 15 endangered species, 10 threatened species and 13 species of special concern. These species include: butterflies, shellfish, ferns and killer whales. All of the larger islands share a similar past. 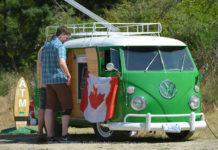 They were inhabited by semi-nomadic First Nations people and settled by Europeans in the-mid 1800s. In the 1900s, the islands were known for bountiful fruit production. Today this area is a beautiful place to explore. 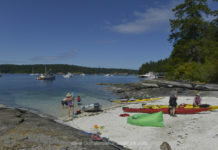 The park areas on the larger islands (Saturna Island, Mayne Island and North Pender and South Pender Island) are accessible by BC Ferries, while the others areas can only be reached by water taxi, private boat or kayak. Once you arrive, there are many unique landscape features and plants to explore. You can enjoy scenic touring, boating, kayaking, diving, hiking, camping and fishing. Services throughout the islands vary. Some of the islands offer water and pit toilets, while others permit no camping at all – so do your research before you set out.